So to lessen the negative emotional impact of these harsh lessons, I’m enlisting some of my favorite memes to help teach them. The Mistake: Content without strategy is like a baby deer on a frozen lake: lots of motion, but no progress. Yet many marketers are still slip-sliding around. Don’t make me quote the B2B Benchmarks stats again, people. You know it’s true. A majority of marketers are creating and releasing content that serves no immediate purpose, has no measurable goal, and is not part of a larger whole. How to Avoid It: First, it’s important to recognize that it is possible to directly measure the effectiveness of content marketing. Then, before you create a single new piece of content, create a content strategy that features concrete goals and the metrics you will measure to evaluate progress. The Mistake: The old-school content strategy was to go broad and shallow. Copywriters would churn out 250-500 words on any topic their audience conceivably could be searching for. It didn’t matter if the content delivered on the headline’s promise—what mattered was driving traffic. That’s a tactic that won’t fly anymore. Search engines are evaluating the quality of the copy, and the way readers react to it, to determine rankings. How to Avoid It: Focus on the few topics that are of greatest interest to your highest-value reader. Don’t worry about attracting the attention of thousands of people who will hit your content and bounce—create something valuable for the dozens who will read it and buy. The Mistake: Even the most in-depth piece of content is unlikely to address every aspect of a topic. Yet marketers still publish content without a single link to a related post, or suggestions for further reading. The more time customers spend on site, the more likely they are to take a next step with your company. So it’s worth giving them a reason to stay. How to Avoid It: As you write, look for opportunities to crosslink the reader to other valuable content. For example, that content strategy link up in the first entry leads to another blog post. It’s relevant, it’s useful, and it entices the reader to stick around. The Mistake: Until recently, SEO was built around keywords. You find the word or phrase your audience might use, then stuff it in as many times as you can make it fit. As with lightweight content, it worked for a while—but no one was really happy with the arrangement. How to Avoid It: Search engines are now far more concerned with user behavior than keywords. Bake in your SEO by writing informative content that answers the reader’s question. You can start with a keyword, but use it as a jumping-off point to create content that resonates. The Mistake: As publishing content gets more and more simple, it’s easy to sidestep the gatekeepers of language, spelling and grammar. That’s a good thing overall, but can lead to beautifully-designed assets marred by typos, or blog posts with phrases so convoluted they’re impossible to parse. Sloppy copy can damage your brand’s credibility and cause readers to bounce. How to Avoid It: Treat every bit of content you create, regardless of the channel or format, as though it were a multinational ad with millions of dollars behind it. Even if it’s a post for your personal blog or your LinkedIn Profile. If you don’t have the patience (or a patient friend) to edit, these tools can help. The Mistake: We were trained early on to write in big blocks of text. The problem is, big blocks of text are torturous to read on a screen—especially on a small mobile device. Include headers to provide a skimmable set of highlights for your piece as well. Readers will check out the headers before they decide to commit to reading the whole thing. If you don’t have these signposts, the reader will frequently opt out. The Mistake: Repurposing content is a fantastic habit to get into (more on that later). But sometimes what works in one format doesn’t quite work in another. The slides from your presentation looked great on a 10-foot screen, but on SlideShare they’re illegible. Or the infographic you made looks awesome—until it’s compressed into a tiny window on your blog. How to Avoid It: Make sure to adapt content rather than just putting it in a new wrapper. You can use those presentation slides to inform a new SlideShare presentation, for example, with less text, more visual interest, and a firm CTA to your blog. The Mistake: So you create an amazing content asset that speaks directly to your audience’s needs. You promote it on your social channels and optimize it for search. 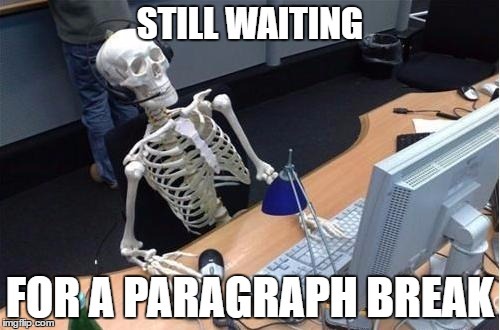 Then you wait for the likes and shares to come pouring in…and you wait. And wait. How to Avoid It: It’s no secret that social platforms are increasingly pay-to-play. It’s simply not enough to rely on organic sharing and search—if you believe in the content, it’s worth putting a few dollars behind it. Start with the channel your audience uses the most, make a minimum investment, and optimize from there. The Mistake: You know that you’re a reliable resource for your content. So you naturally expect your audience to find you credible, too. Unfortunately, your target audience may not yet know how trustworthy you are. 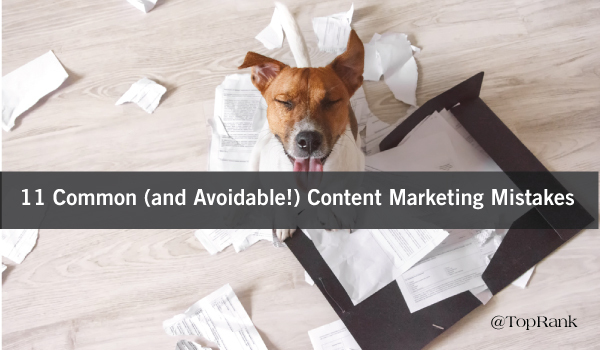 How to Avoid It: There are plenty of ways to add credibility to content. Cite statistics from a respected industry source. Curate quotes from trusted individuals in your field (and don’t forget to let them know you quoted them). Even better, reach out to influencers to co-create content. The Mistake: After pouring blood, sweat, tears and coffee into a great piece of content, it’s easy to publish it, forget about it, and move on. You may check to see if it’s gaining traction, but in general, you’re so over it. 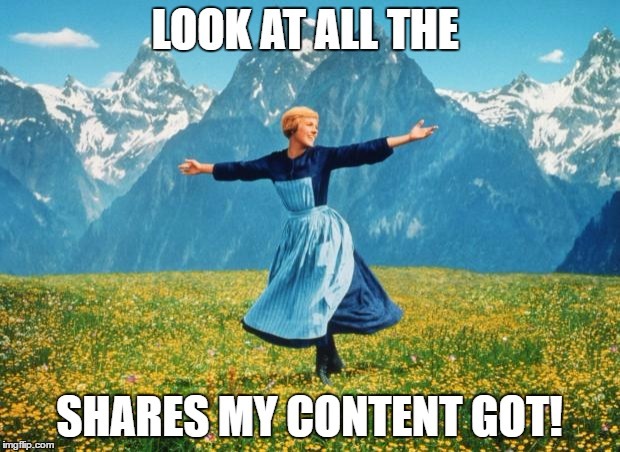 It’s an understandable attitude that leads to a lot of wasted content potential. How to Avoid It: Repurpose your content by personalizing it for a different audience, changing the format, refreshing the stats, and more. Roll several pieces into an eBook. Turn the eBook into a SlideShare presentation (with legible text). Your content can find a new audience with every iteration. The Mistake: A potential customer sees a promising headline for what looks like a fun, entertaining read. 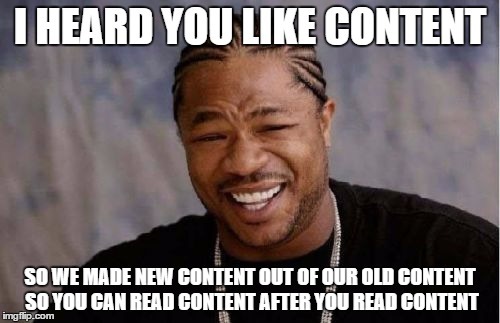 They click through—only to see a subscription pop-up before they can start reading. Or a contact form for a download. They’re not ready to make a commitment, so they bounce. How to Avoid It: Many smart marketers are experimenting with 100% ungated content. Whether that strategy would work for you depends on your audience. Regardless, it’s important to have plenty of top-of-funnel ungated content to pull in casual readers. Entertain them, offer value, then ask for a next step. If you’re currently making any of these mistakes, good news! That means you have some untapped potential to unleash. Use these as a checklist for making your marketing more effective. If you have successfully avoided all eleven of these, congratulations! Your next move is harder: You get to go out and make all new mistakes that we all can learn from. I’ll be failing and learning right along with you. What was your most educational marketing mistake? Tell me your story in the comments. Speaking of content marketing, if you would like to know more about working with a talented content marketing agency, be sure to see “Optimize the ROI of Your Content Agency Investment” and “How B2B Executives Need to Strategize in the World of Content“ featuring our CEO, Lee Odden, at Content Marketing World on Thursday next week. Thanks for that feedback Issy, we are checking out some options. Thanks for that bit of advice, Anurag. I will see if we can get that up and running! I had no idea spelling and grammar were that important for ranking, Benedict. I thought it was mostly a credibility issue. But given how SEO is a lot more about readability now, that shouldn’t be a surprise. Thanks for the tip!